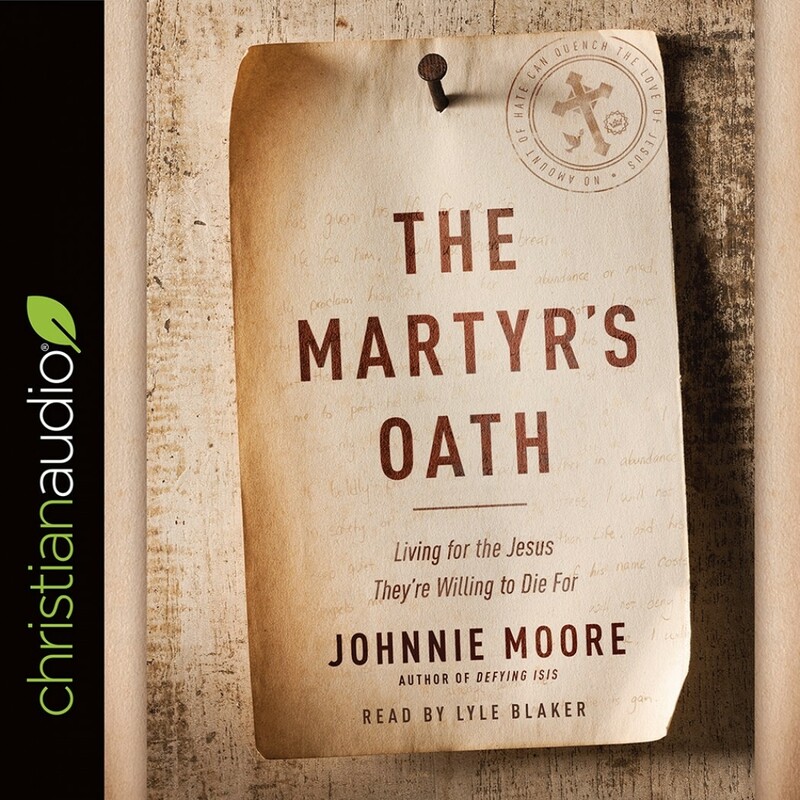 The Martyr's Oath | Johnnie Moore | Audiobook Download - Christian audiobooks. Try us free. Johnnie Moore, like many American Christians, didn’t fully appreciate the extent of what was going on―until he witnessed the graduation of theology students in India. Unlike graduation ceremonies in America―where feel-good speeches made by visiting celebrities are common―this one featured a remarkable oath. It wasn’t an oath to excel or succeed. It was an oath to be willing to die, if necessary, for the cause of Christ. This was no empty promise. This was a choice, choosing the eternal over the temporal. Johnnie knew he was witnessing a raw, first-century Christianity that his comfortable American version had shielded him from. “For the first time, I really understand my faith,” says Johnnie Moore. Now, he’s on a mission to give this same experience to others. He and his team have crisscrossed the world, recorders in hand, gathering eyewitness accounts from dozens of people who survived persecution―and the stories of some who didn’t.